Where did the lad go. I watched him at Shettleston and the team fell to bits when he left. The boy is a leader. Pumpherston Juniors looks like a better team than Fauldhouse United at the moment. Pumpherston are certainly getting better results, won every league game to date I believe, but the standard of opposition must be taken into account !! The Pumphy Manager - Craig Martin is doing a terrific job with limited resources. I would imagine junior clubs or EOS clubs at a higher level will be well aware of this. How on earth are they 2nd bottom of the league with all these good players? Was good to see the hoose winning a game on saturday. A deserved victory which makes it more sweeter. A few squad changes and a few players hopefully rediscovering a bit of form will see our fortunes turn in the league. Good luck to the guys who have left, good luck to the new signings who have joined. Best of luck to everyone on Saturday away to KirrieMuir. Let’s hope it’s a well needed 3 points. Fully agree Fluff. The team on Saturday looked a more cohesive unit and all the players worked hard to support each other which led to a very solid and impressive performance. IMO the defence looked very solid and we created lots of other chances in attack and being honest could've scored a few more goals on a good day. 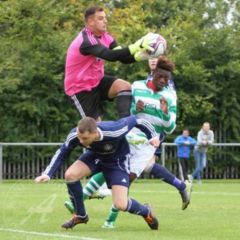 I cant recall Glenrothes troubling our new keeper very much either.....long may that continue. As you say lets hope this positive performance helps us on our trip to Kirriemuir on Saturday. 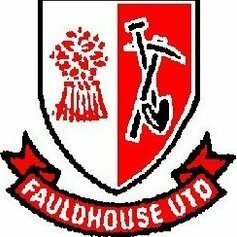 KirrieMuir Thistle 1-3 Fauldhouse United. Great win and massive 3 points for the hoose today. Fingers crossed the past 2 victories give the boys a platform to push on from here. Let’s hope we can get another 3 points next week at home to Glenrothes. Great 3 points yesterday....well done to JC & all the lads. 2 wins on the trot and 6 goals just the confidence booster that is needed to spur us on. Next game at home to Glenrothes so fingers crossed we carry on the this good run.....Looking forward to the game (earlier ko 1:45pm on Sat). How on earth are your team fifth when they don't have any good players? To be fair to Brycey, everyone else is silent when Fauldhouse get beat. Only asking him to post the score mate...nothing else.